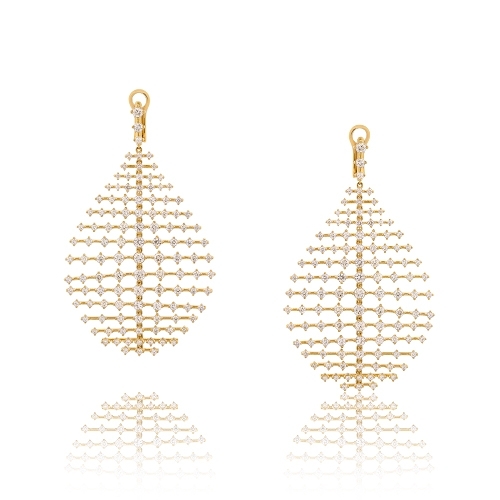 Dangle earrings set in 18k yellow gold with all prong set brilliant round diamonds. Diamonds approx. 11.43ct. Earrings 3"